What is an Adventure Tourer Bike? An Adventure Tourer bike is a type of touring bike which falls under the luxury tourer segment. So, normally, most of the Adventure Bikes around the world cost almost similar to the conventional Sports Bikes. Traditionally, the Adventure Tourers have high ground clearance and low seat height. In these bikes, the riding position allows the feet to rest at the middle and the hands straight up. Thus, it places the spine in the upright position or leans it back slightly. Just like the touring bikes, the Adventure bikes also feature high and wide handlebars which provide superior riding posture. This also provides a better view and more comfort to the rider. Similarly, the foot pegs are placed at the middle, close to the engine and near the rider’s body. It offers a better sitting position. So, the Adventure bikes are more comfortable and offer fatigue-free riding experience on long journeys. With great sitting position, there is no stress on the rider’s body and muscles. 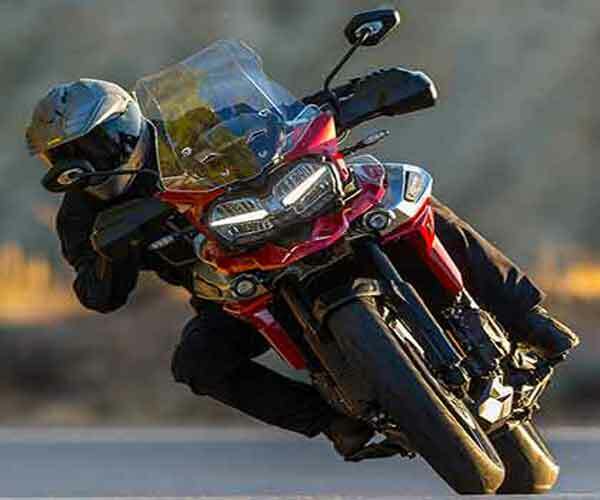 The Adventure Tourers are even more comfortable than the sports bikes at low-moderate speeds even though slightly weighing more than the sports bikes. At times, the additional weight of the bike causes some issues while balancing the bike at slow speeds. Besides, the cornering of the Adventure Bike is a little tricky because of the extra weight. The Adventure Tourer bikes are the ones which most people use for long-distance commuting of more than 500 km or so in a day. So, the manufacturers offer higher capacity engines for Adventure Tourers. However, some of the entry-level Adventure Tourers come with engine capacities of sub-400cc and power output around 35 bhp. 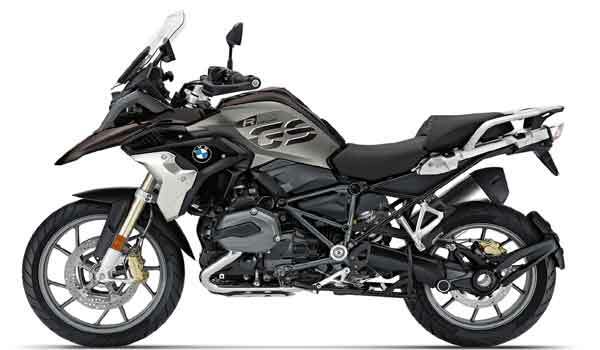 The BMW 310GS is a 300cc, entry-level Adventure tourer in the world while the BMW 1200 GS is one of the best tourers in the world. The Adventure bikes are designed for the dual-sports purpose. They offer long-distance touring and both on-road and off-road capabilities. Adventure Tourers have high ground clearance for off-roading, large fuel tank, and bigger size engines for better reliability. These bikes may also get GPS navigation systems, wire-spoked wheels with knobbed tires. 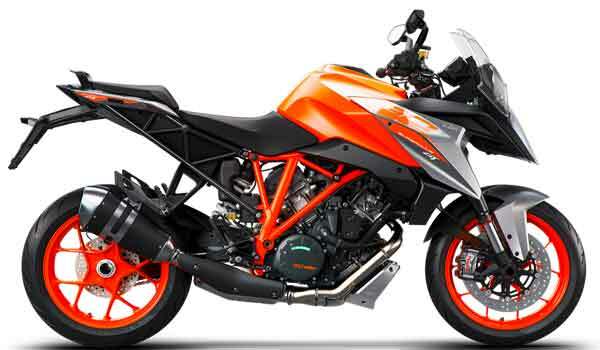 They also have the skid plates to protect the engine and transmission during off-road use and metal panniers. Sometimes, the participants use modified Adventure Tourers to take part in the challenging rally events such as the Dakar Rally. The mid-level Adventure Tourer motorcycles feature engine sizes between 400-800cc which offer more power. Some high-end Adventure Tourers offer engine capacities above 800cc up to 1400cc. These Adventure Tourers deliver an ample power output that exceeds 100 bhp. Often, the Adventure Tourer bikes have an aerodynamic shape, swanky design, and complex manufacturing process. So, technically, they are more expensive to manufacture than the other bikes. However, the Adventure Tourer bikes are more comfortable. They offer low-moderate mileage and generally, their maintenance cost is little higher. Primarily, their focus is on the rider’s well-being and comfort. Some of these Adventure bikes use lightweight materials such as the cast aluminum to reduce weight and improve handling. Some models are equipped with acoustically engineered exhaust pipes which deliver a distinct exhaust note. They also offer premium features such as the Riding Modes, Cruise control, ABS, push-button start, bigger tires, high-performance front & rear suspension and keyless ignition for rider’s comfort & convenience. Other convenience features comprise of spacious metal panniers with weather-proof seals. Some modern Adventure Tourers even offer a TFT with touchscreen and navigation, Bluetooth® audio, points of interest, and vehicle status. However, some of these Adventure Tourer bikes deliver an average of only up to 20 Km/L. They also have plentiful expensive spare parts. Hence, they need only trained technicians for servicing. Generally, the premium Adventure Tourer bikes have higher power & torque, trendy colors, and eye-catching design/style. The Adventure Tourer bikes are comfortable motorcycles long distance riding such as the ‘Riding around the world’. The Adventure Bikes are relatively easier to ride on winding roads/bends. 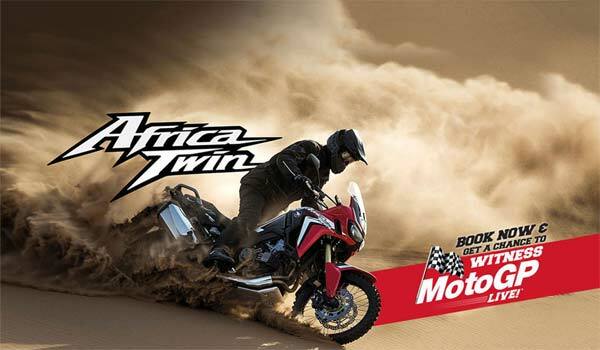 Hence, because of the off-roading capabilities, the Adventure Tourer bikes are now getting more popular in the world. Some of the popular premium Tourer bike manufacturers include the BMW, KTM, Honda. , and Triumph. 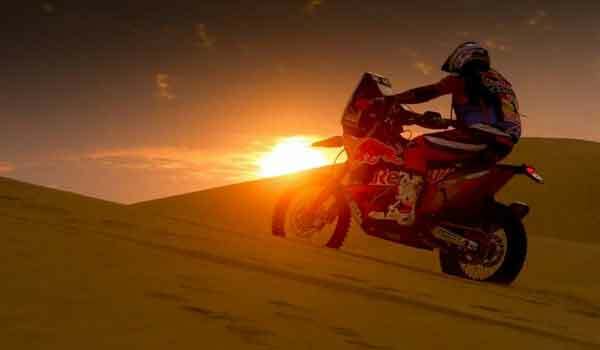 In short, the Adventure Bikes travel the long distance without any hassles. They offer great comfort, safety, and premium features. However, they are difficult in negotiating the stop-and-go traffic due to their large size. So, they are ideal mainly for the intra-city travel. Some premium Adventure Tourer bikes offer improved suspension, additional safety and other equipment that long-distance travelers need the most. Hence, these bikes are very expensive. Thus, fancier and more contained the Adventure Tourer gets; it demands even higher price-tag. However, the on & off road riding ability of these bikes makes them the most versatile bikes for adventure touring. However, the only disadvantages of these bikes are their limitation while riding within the stop-and-go traffic conditions. The Adventure Tourer bikes are not ideal for city commuting because of their large size. So, maneuvering in the urban city traffic sometimes becomes tiresome and hectic. Hence, most people prefer to use them on the highways for the long-distance commute. What Is An Air Bag And Know How It Can Save Lives?